The definition of mixed emotions? The joy of seeing the This is England cast reunited at the same time as knowing things are going to get mighty bleak for them. It's been a four year wait since This is England 88 screened in December 2011. We've had four years to prepare for the fact that Shane Meadows is bringing his intimate drama to an end with This is England 90. But you know what, never say never. I still reckon there might be more from Woody, Lol, Shaun, Combo, Gadget and the gang. More pressingly though, the cast have to make it through TIE90 before we can even begin to think about talking about further spin off sequels to the original This is England. Does this mean Shaun becomes a junkie? I bloody hope not. Still, it can't possibly get more harrowing than the racism and sexual abuse of previous installments of the series. Even though Combo, Wood and Lol are all back, it looks very much like the focus on squarely on the younger characters this time round. Digital Spy asked Meadows about the themes of TIE 90 and he gave a great little insight into what the characters will be up to when we see them this time around. "The younger members of the crew, it becomes their time. In This Is England '90 it becomes about Shaun (Thomas Turgoose) and Kelly (Chanel Cresswell) and Trev (Danielle Watson) and Gadget (Andrew Ellis) actually getting into the Roses and getting into that scene and going clubbing and going raving and all of that. They sort of go off on that journey. Combo comes out of prison, he's served his time for manslaughter, and actually starts working in the community and the rehabilitation of his character begins. Woody and Milky set up a scooter shop. Woody finally gets out of that awful Mr Squire's factory that he's been working at, and him and Milky become really strong again. Everyone starts to do slightly separate things, but it's still got that beautiful unity that the others have all had. So, I've got the stories all lined up in my head, but I just need to get them down on paper." It all kicks off on September 13th on Channel 4. Say what you like about Russell Brand. He's probably already said it anyway. The Trews has frequently been a little too silly for my linking, but it's also been spot-on more often than not. I have wondered how long Brand would continue with it and sadly, today seems to be the last day for now. I really hope he does come back stronger than ever. Trew be continued! As much as I love The Blair Witch Project, I'm not sure I'm ready to watch it in the middle of some woods on a dark night. But that is exactly what the Friends of Langley Park have proposed that you come along and do on Sunday August 30th 2015. You can book tickets here, if you think you're brave enough. I don't know how many times I've now seen this film, what with writing a book about it, and it being one of the primary focus films of my PhD thesis. I must have seen it at least 30 times and I still don't think I'm ready to watch it in the middle of the forest, even if I am surrounded by a bunch of other people stuffing popcorn into their mouths. On the other hand, this sounds like THE perfect way to watch this film and there is absolutely no way that I'm going to miss this opportunity. OR, if I don't feel like forking out £20 for a ticket in order to watch a film that I've already seen at least 30 times, then I may just hide in the woods nearby the screening spot and blast out the sounds of babies crying and distant cackling in order to REALLY give the audience the FULL Blair Witch experience. In fact, the only thing that could make this screening better, is if they made you camp in the woods overnight after the film finished. Could you imagine the amount of urine that would be spilled in the tents that night? The park is here and the price is £20 and if you ask me, this sounds like the best way to spend a summer evening at the end of August so get your tickets here! 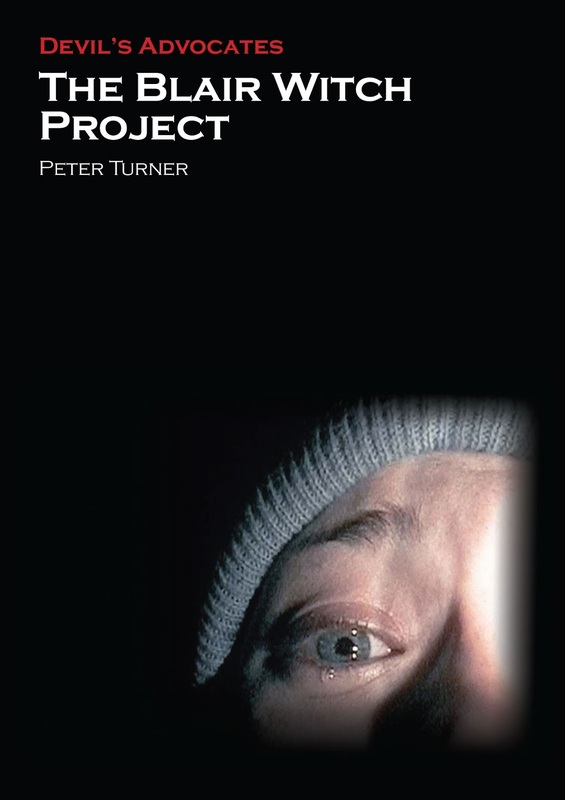 Once you've booked your tickets, and if you have another tenner to hand, please consider picking up a copy of my book about The Blair Witch Project here. It's really good, honest. If you don't believe me, then check out these reviews! I hope to see some of you at the screening! Bring spare underwear.